A postcard from Bulgaria, sent by Snjezana for Vacation RR in postcrossing forum. 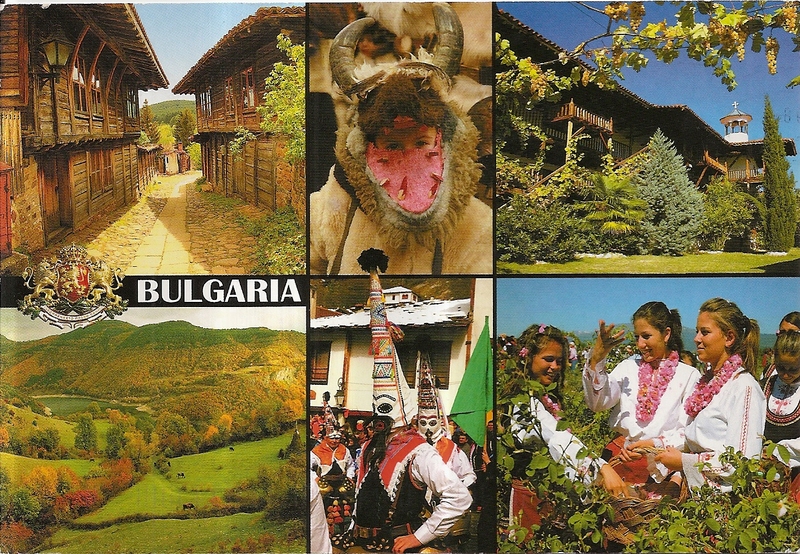 It’s a multiview postcard showing various attractions of Bulgaria. At the back, Snjezana affixed one stamp. The postmark date is 19 August 2013. Thanks a lot Snjezana! 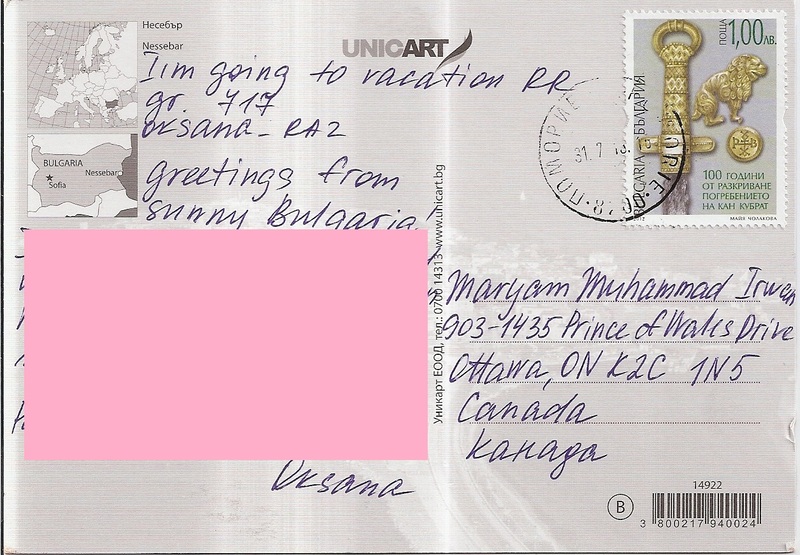 My first postcard from Bulgaria, this one is from Oksana for Vacation RR in postcrossing forum. 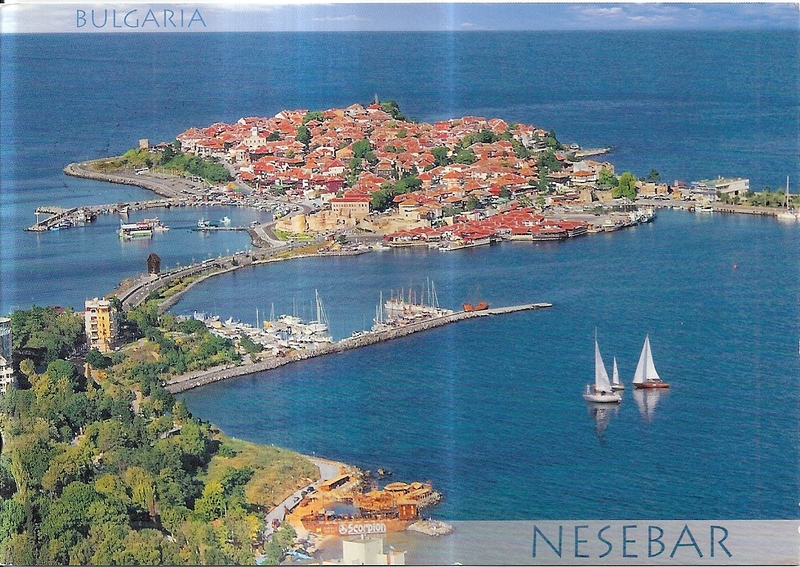 The postcard shows a beautiful view of Nesebar, a UNESCO World Heritage Site on the coast of Black Sea. At the back, Oksana affixed one stamp. 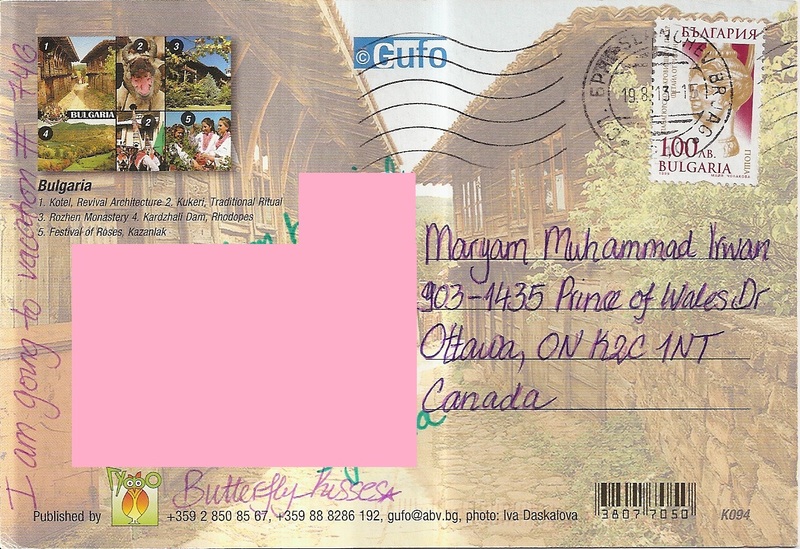 The postmark date is 31 July 2013. Thanks a lot Oksana!